Wedding couples today use wedding planning websites more than ever! Wedding couples today are turning to wedding planning websites more than ever before! Wedding planning websites like AllSeated are organizing wedding planning from start to finish all in one place. 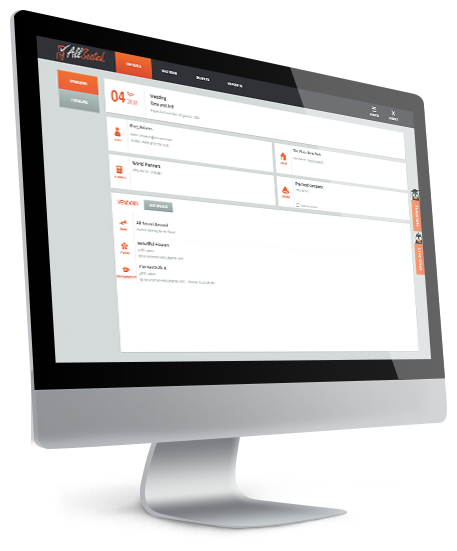 With all data updated in real time combined with collaborative, easy to use tools, wedding planning websites like AllSeated take the place of PDF files by providing virtual planning like never before. Wedding planning websites like AllSeated provide the opportunity to manage multiple guest lists for every wedding event including your bridal shower, bachelorette party, rehearsal dinner and even your post wedding brunch! Within your guest list, you have the ability to keep notes and generate reports that can be used for calligraphy items such as invitation orders, place cards and favors. Collaborate within your guest list by inviting your “entourage” into your AllSeated account. This allows your friends and family (and vendors too!) to be a part of your event planning process. Collaboration in real time to ensure that you are all on the same page and up to date with your wedding details. Your entourage may even be able to assist you with adding guest list information! 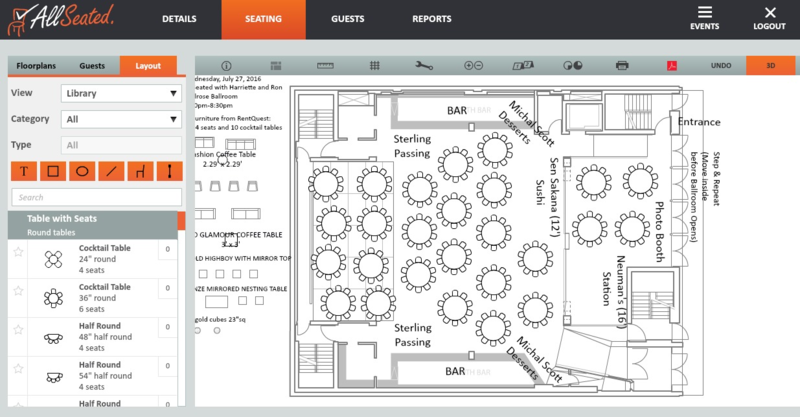 Easily build your wedding floorplan using AllSeated’s floorplan tools. Select your tables and furniture from the wide variety of furniture available to arrange your wedding floorplan layout. 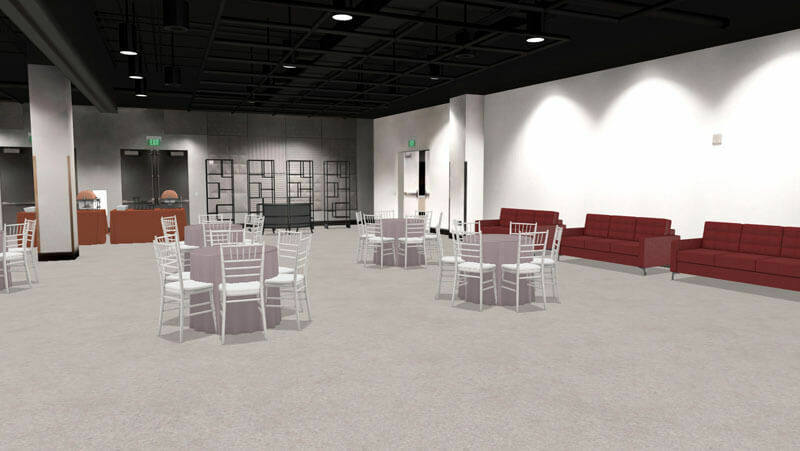 Using your guest list, easily arrange your seating chart directly in your floorplan and then view in stunning 3D to really bring your wedding to life. A virtual walkthrough of your wedding within AllSeated allows you to really see what your wedding seating and floorplan will look like while allowing you to make changes with just a click of a button. Wedding planning websites like AllSeated offer you the ability to create multiple timelines for your wedding and wedding related events. 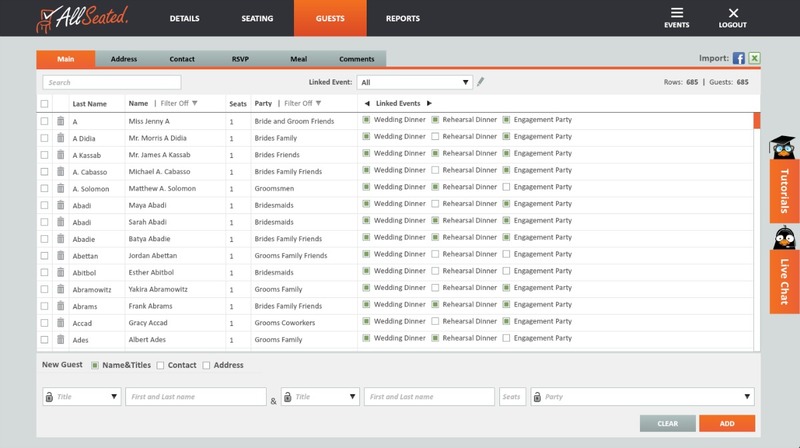 Build multiple wedding timelines within your AllSeated account. Easily create a timeline for your wedding rehearsal and dinner, a wedding day timeline for your wedding day appointments while also creating a timeline for your vendors. AllSeated’s collaborative nature keeps everyone updated in real time and on the same schedule which allows for seamless set-up and execution of detail. AllSeated’s Day-Of Mobile App is an extension of AllSeated designed for tablets. 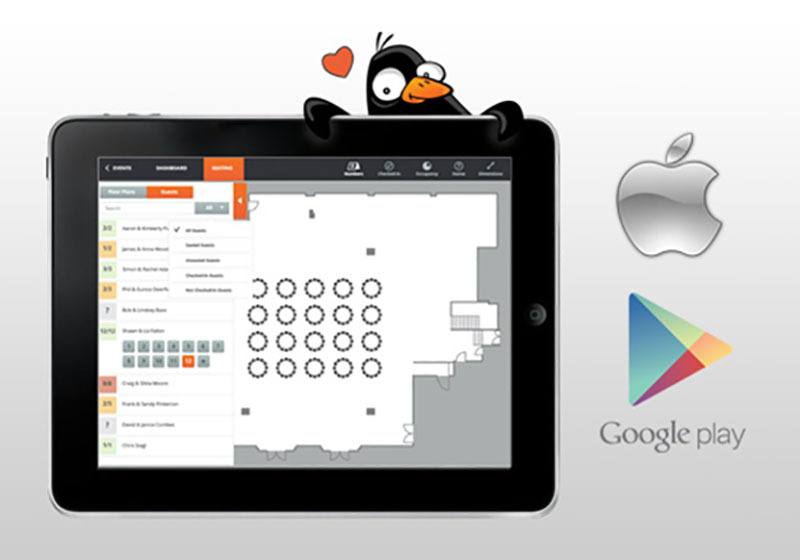 The Day-Of Mobile App gives you access to your wedding planning on the go with a full check-in system including real-time collaboration, live check-in updates, overview of check-in status and ability to view your floorplans in both 2D and 3D. AllSeated’s Day-Of Mobile App provides a way for you to let your guests know where they are sitting via check-in. By simply entering a guest’s name, their seating information will pop up!